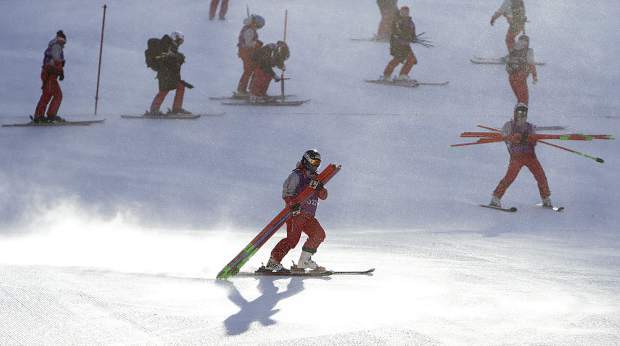 Vail’s Sarah Schleper, who is now competing for Mexico, also will race in the giant slalom. The men’s downhill, originally set for Sunday, has already been rescheduled for Thursday at the Jeongseon Alpine Centre. Shiffrin will be gunning for her second career Olympic medal in Wednesday’s slalom. She won the Olympic slalom four years ago in Sochi, Russia. The 22-year-old Eagle-Vail resident is seen as a multiple-medal threat at these Games. She said she hasn’t decided yet which events she will compete in beyond the slalom and giant slalom.